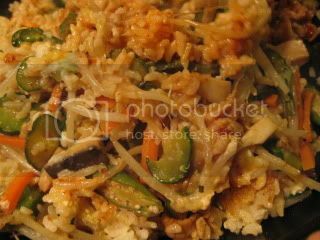 With my homemade kochujang, my bibimbap (Korean-style mixed rice) tastes really great. First of all, you need to make the best quality rice for the best quality bibimbap. 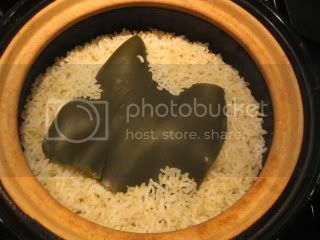 So, I make rice with my double-lid donabe rice cooker, "Kamado-san". 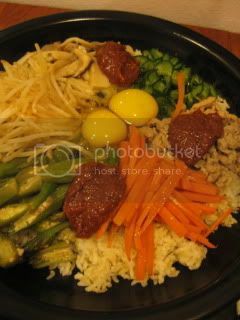 Here's my basic Bibimbap recipe with donabe rice. 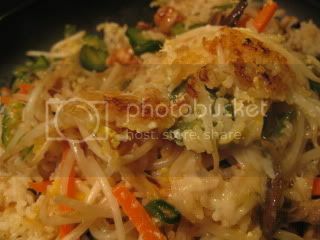 This time, I would like to introduce my alternative bibimbap recipe. 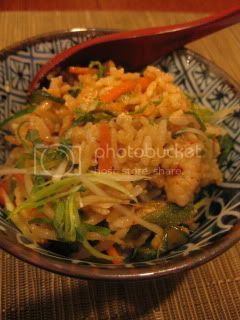 It's sizzling donabe bibimbap with donabe brown rice. It's sooo good. 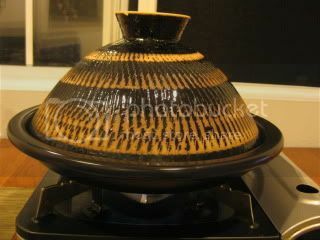 For the sizzling-style, I also use my tagine-style donabe, "Fukkura-san". First, I make brown rice (2 rice-cups) with Kamado-san. (I like to infuse with kombu, but it's optional.) I also get all the toppings ready. 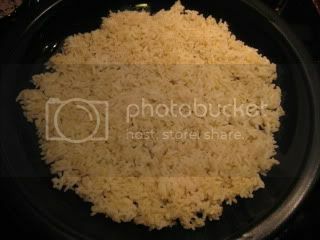 I take a little over half of the rice and spread on the skillet of Fukkura-san, which was seasoned with some sesame oil. 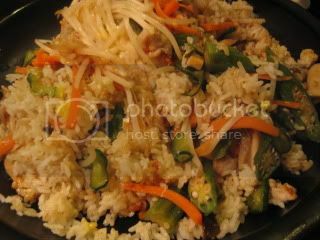 Decorate the rice with the toppings. Then, donabe is covered and brought over medium-heat for 5-7 minutes (make sure you won't burn the bottom of the rice) until the rice makes nice crusty bottom. 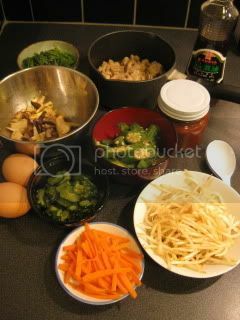 Remove the lid and add the eggs and some Gochujang (you can add the cooked eggs if you prefer) and start mixing all the ingredients with a large spoon very quickly. The skillet is very hot, so be careful. Because of the reason, the eggs start to cook as you mix. 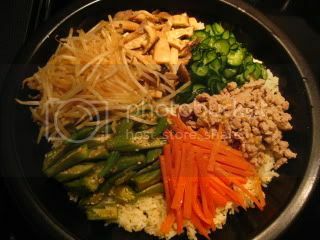 Sizzling donabe bibimbap is ready. You can serve with some thinly-sliced scallion and shiso leaves, with extra gochujang.